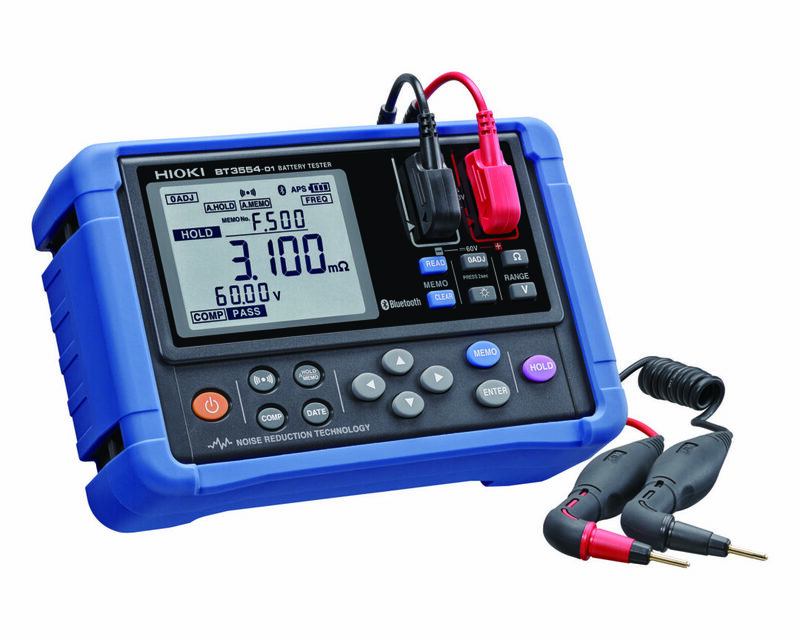 Hioki is pleased to announce availability of the Battery Tester BT3554-10 and BT3554-11 (with Bluetooth® wireless communication), which bundle the two versions of the Battery Tester BT3554 with the Pin Type Lead L2020, a testing probe with an L-shaped tip. 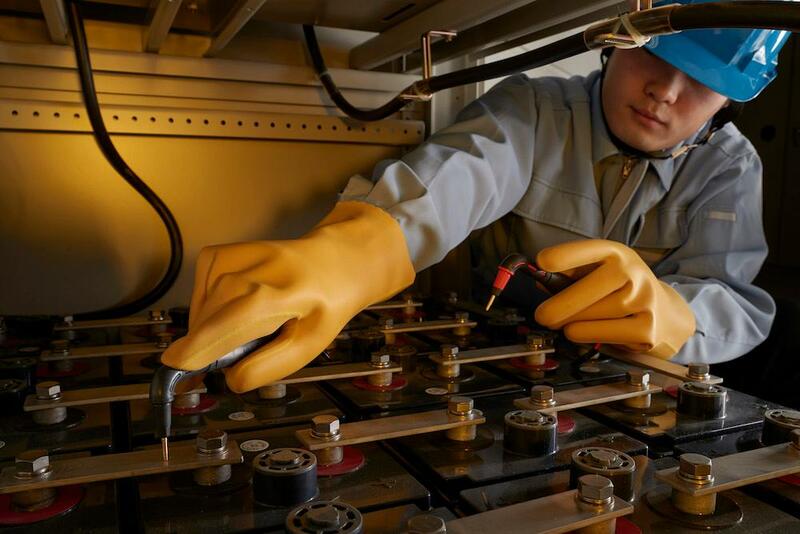 The BT3554 and its predecessor 3554 Battery HiTester have been widely recognized and utilized worldwide for their ability to easily diagnose the performance degradation of lead-acid batteries, including those used for uninterruptible power supplies, or UPS, letting customers know when the battery should be replaced in order to prevent power-dependent mission critical equipment from failing to operate. In recent years, demand for greater implementation efficiency in UPS systems has called for the need to minimize the vertical distance between UPS racks, which in turn severely limits the accessibility of the battery terminals during testing. The BT3554 comes standard with a straight-tipped pin-type lead, but that design can be difficult to use in certain applications as it may not fit between equipment racks. To make possible measurement under such conditions, Hioki launched the Pin Type Lead L2020, which has an L-shaped tip, alongside the BT3554 in July 2016. Until now, the L2020 has been available only as an option that had to be ordered separately from the BT3554 instrument. Hioki’s decision to start shipping the tester with the L2020 as a standard accessory reflects growing demand for the lead. We are confident that having more choices will help streamline purchasing decisions and asset management at the customer site. Another update to the entire series will be the addition of a new removable rubber protector in our distinctive Hioki blue. In addition to providing a more ergonomic grip, the new holster will deliver added strength and protection to the battery tester.